When you are faced with a missing tooth, you have a few options to consider. Modern dental prosthetics offer viable solutions for people regardless of age and budget. Many people choose dental implants because they are totally secure and no other teeth need to be treated to replace the missing tooth. Bridges and dentures are also popular alternatives. Drs. Troy Schmitz and Shari Thom are very experienced in this area and have helped many people in the St. Cloud and Sartell, MN, areas solve their tooth loss situations. 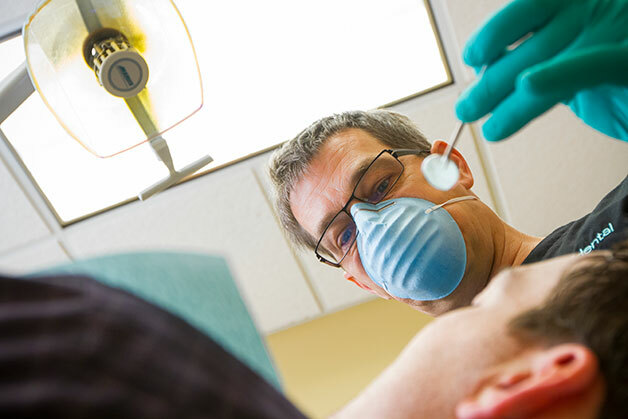 If you would like to learn more about your tooth replacement options to improve your smile, schedule a consultation to speak with one of our dentists. Click here to email our office or call (320) 251-2972. One of our friendly team members will happily help you schedule a convenient appointment time.